Los Angeles, CA – August 8, 2011 - Bay Area based arts organization, The Estria Foundation hosts the inaugural Los Angeles, Estria Invitational Graffiti Battle, on Saturday, August 13th, 2011, from 12-7pm, in partnership with Crewest Gallery (110 Winston St.). The graffiti battle, a nationwide urban art competition that honors and advances creativity in the Hip-Hop arts, has gained enormous support from the local art community and businesses. Sponsors in the art community include the ACLU, LACMA, MCLA, The Grawn, and the Downtown Los Angeles Art Walk. Other sponsors and partners that are contributing to the event include MTN Colors North America, Fatcap.com, Crescent’s Graffiti Paper, Cukui Clothing, Sharpie, Starbucks, Power 106, Jarritos, Roaring Lion Energy Drink, Big Man Cakes, Self Help Graphics and Art, Mixcrate.com, Friends We Love, and Can Love (Graffiti Recycling Program). In addition to the Graffiti Battle, graffiti writer Vyal (2010 Estria Graffiti Battle King), will host the Blackbook Battle in two categories – Youth (18 and under), and Adult (18+). To participate in the Blackbook competition you must sign up the day of the event. The first 30 to sign up will receive a Crescent Graffiti Paper Sketch Pad to use in the competition, and a Sharpie prize package for 1st-3rd place winners, (all supplies will be provided to participants). A t-shirt stencil workshop, and other planned activities for the day will provide an entertaining, and family friendly event for graffiti enthusiasts, and critics alike. About Crewest Gallery: Crewest is a gallery that supports some of the most talented underground artists from the West Coast and beyond. 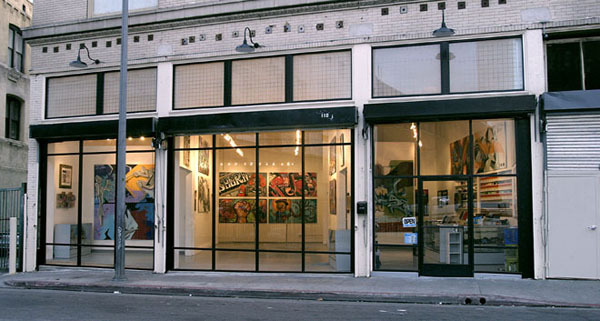 The gallery’s focus is on urban & graffiti art created through painting, sculpture, digital, and print medias. All of the exhibits housed at Crewest deal with what is current, and significant within the realm of the urban art experience. Hours of operation are Tues. thru Thurs. : noon – 7pm, Fri. and Sat. : 12pm -8pm, Sun. : Noon – 6pm and Closed Mondays (except by appointment only). Visit the gallery online at: www.crewest.com.